A reporter is found dead just before an interview with the Junior Detective League. 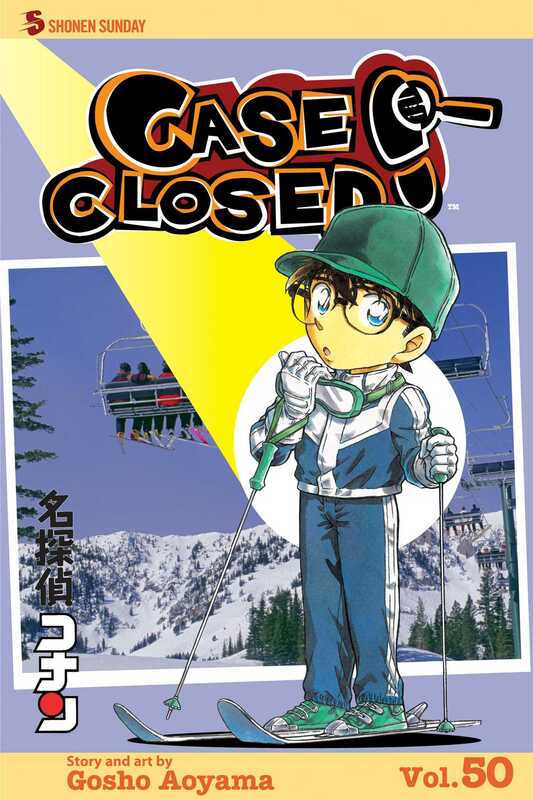 Conan is determined to close the case…but with his teacher watching, he has to do it without letting on that he’s smarter than the average first grader! Then flash back to one of Jimmy’s first cases! When a death takes place at a ski resort, everyone believes a legendary ghost has struck again. But two middle schoolers think otherwise: young Jimmy Kudo and young Harley Hartwell! Which boy genius will solve the mystery first?